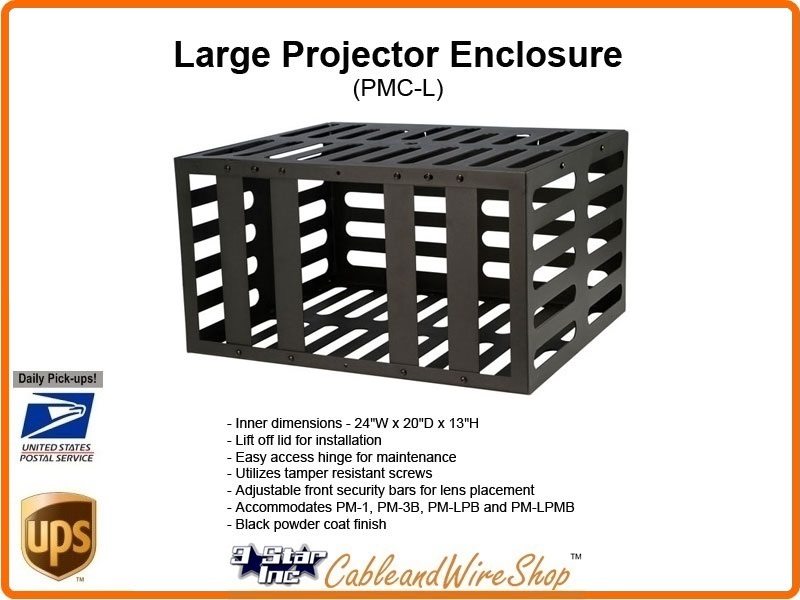 Protect your projectors with the PMC-L. Perfect for schools, gyms and other locations where security is important, the PMC-L provides security from theft and vandalism. It accommodates larger projectors using the PM-1, PM-3B, PM-LPB and PM-LPMB.